Christmas in my family is all about the stocking stuffers. Over the years, I've done this, that, and the other-thing, but never handmade. Being super crafty, I have no idea how I let this (not) happen. 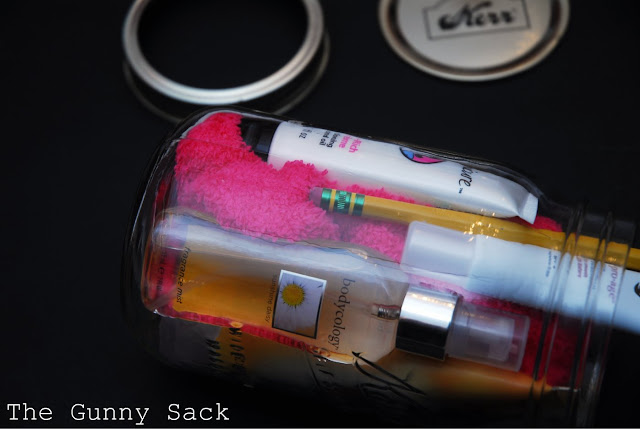 I recently stumbled upon this tutorial by The Gunny Sack for [pretty much whatever you can think of] in a jar and will definitely be throwing these into stockings this year... making them a perfect Christmas DIY project. 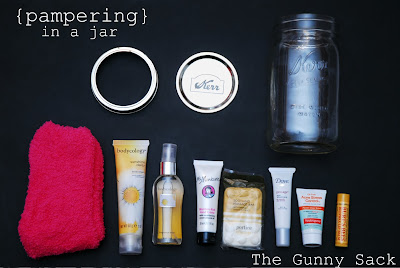 Go to the tutorial--> here <-- and follow the easy peezy steps. Hit up the travel section of a department or drugstore for mini versions of items that wouldn't usually fit in a mason jar... There are even free printables to tie the whole shebang together! 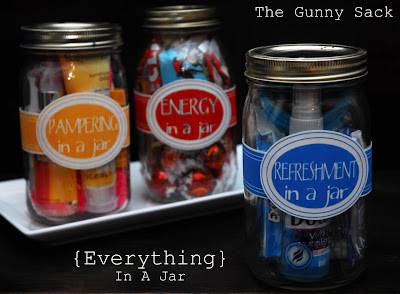 There are a bunch of great ideas right on The Gunny Sack page for custom jars, including first aid kits, sewing kits, and relaxation kits just to name a few. I've got visions of tool-kits, poker night, and a snow-man in a jar for the men (and boys) in my life. If you've got more ideas, I'd love to hear them! What's in the poker night and snow men jars?